Would you like to learn how you can become the happiest person in the world? 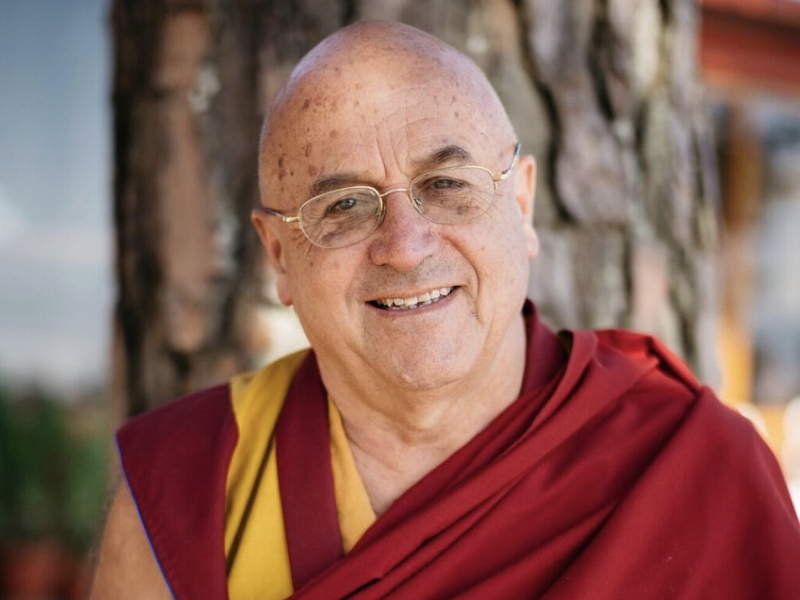 Following research conducted by neuroscientist Richard Davidson, a French Tibetan monk by the name of Matthieu Ricard has been called the happiest person in the world (against his will). As part of his research, which involved hundreds of advanced practitioners of meditation, Richard Davidson wired Ricard’s skull with 256 sensors. The results showed that, when meditating on compassion, Ricard’s brain produced a level of gamma waves that were, in the words of Davidson, “Never reported before in the neuroscience literature.” Gamma waves have a significant link to consciousness, attention, learning, and memory. In this article, I’d like to share what we can learn from the happiest person in the world and what we can do to increase our level of happiness. Because, as Ricard himself says, happiness is a skill you can, and should, cultivate on a daily basis. Below are 7 tips to be happy from the happiest person in the world. Jean Claude Van Damme was definitely onto something when he said that we have to be “aware”! The more you can separate yourself from your emotions, the more you can deal with them effectively. As you become less attached to your feelings, they will eventually disappear like clouds passing in the sky. If on the other hand, you continue to focus on them repeatedly, they will gain tremendous power over you as time goes on. Your brain is amazing and can do some phenomenal things, but there’s one thing it can’t do: Focus on two different things at once. You can’t, for instance, feel blessed and resentful at the same time. Just try it for yourself. So, the more you learn to keep your attention on the good things in your life, the more positive emotions you’ll experience. A simple rule is that what you focus on will grow. If you focus on everything that’s going wrong in your life, you’ll feel miserable. Focus on all the things you can be grateful for, and you’ll experience more joy and peace of mind. By learning to focus on positive things every day, you’ll rewire your brain to focus on the good stuff. Stop thinking “me, me, me.” Not everything is about you. Continually focusing on how to improve your situation and trying to control everything can be very stressful. In fact, it’s a recipe for unhappiness. Ricard explains that rather than focusing on ourselves, we should strive to be benevolent and do good for others. That’s what will eventually make us happy. Focus on helping others and contributing won’t just have a positive impact on your mental state, it will benefit your body as well. Stop chasing pleasure and excitement thinking they’re going to make you happy. Neither of these things can last forever. They’re sensations that depend on circumstances. They come and go. Things can go from pleasurable to neutral and neutral to unpleasant. As such, pleasure will not bring you lasting fulfillment in life. Happiness, on the other hand, pervades all your emotional states (including sadness, according to Ricard). Happiness is a way of being that allows you to better deal with the ups and downs of life. It’s a form of inner strength. Ricard calls comparison the “killer of happiness.” Have you ever felt jealous, sad, or even depressed after looking at other people’s Facebook timelines? They all seem to have such great lives. And, of course, everyone looks happy in the photos they post. However, most of this is an illusion. Everyone tries to present the best version of themselves on social media, but that doesn’t mean that they feel fulfilled. They may, in fact, feel quite the opposite. We could even argue that the unhappier we are, the more we feel the need to impress our friends on Facebook, Twitter, or Instagram. When you compare yourself to others, you tend to look at their best side while dismissing their weaknesses and problems. Even worse, you look at the very best of multiple people at once. It should come as no surprise that you’re unhappy. After all, the way you look at other people is tremendously biased and unfair to yourself. Bear in mind that people who seem to have a perfect life could very well be depressed. They could be chronically ill, miserable at work, or victims of domestic violence. So, why would you want to compare yourself to others and assume they have a better life than you when you have no idea if this is true? Why not consider the possibility that your levels of happiness might be equal to theirs? Life is not a competition in which you have to keep score of who among your peers has it best. Many people put on masks and pretend to be happy when deep down they’re miserable. Often the things you own end up owning you. Things are a distraction that prevents you from looking within. Ricard has said that material things hinder one’s ability to flourish. Most of your possessions aren’t making you any happier. You may experience a rush of excitement when you buy something new, but it eventually wears off (sometimes very quickly!). Then, you have to buy something new and repeat the cycle all over again. It never ends. It’s a rigged game that fails to fulfill you while leaving you empty inside. Let’s talk about lottery winners for a moment. You would expect people who win the lottery to be happy since their financial woes are gone, they have plenty of freedom, and they’re now in a position to buy whatever they want. But as surprising as it may sound, research shows that, within six months of winning the lottery, these people report that they aren’t any happier than they were before. If material things don’t make us happy, why should we work so hard to buy more stuff? Reducing your ego is a fantastic way to increase your happiness. When you detach from your ego, you become happier and less defensive. As a result, you begin to care less about praise and criticism. The strong identity you once held so dear becomes increasingly less relevant. You realize that the criticisms of others can’t change the essence of who or what you are. The pain you experience is here only because you cling to a specific idea of yourself and take it too damn seriously. When people make fun of you, why not laugh at yourself as well? Why not shrug it off? Ricard describes happiness as a skill that you can develop. Though it’s true that some people are naturally happier than others, we all have ample room to increase our level of happiness. As with any skill, however, happiness requires practice. Ricard recommends we start by focusing on happy thoughts every day. When we experience feelings of happiness, they’re usually fleeting. Something happens, or another subject pops up, and we quickly lose our happy feelings. Thus, it’s essential that we develop the habit of concentrating on happy thoughts and maintaining them for extended periods of time. You can start by thinking happy thoughts for 10 to 15 minutes every day. Your mental state will improve after just a couple of weeks, and you’ll start feeling better. Scientific research has shown that 20 minutes of meditation each day can make people happier. Practice long enough, and you can become the happiest person on earth! Take five to 10 minutes each morning to sit down and focus on positive thoughts. Visualize whatever makes you happy and do your best to maintain that feeling. You can use relaxing music to help you. Don’t worry if you can’t do it well, just do your best and keep practicing for two weeks. Then, let me know how it goes in the comments section!